This entry was posted in cartoons and tagged blob, cartoon, comic, humor, temp work. Bookmark the permalink. I really enjoy your sense of humor! Thanks Ray! I enjoy yours as well! Hope blob man wasn’t contagious. 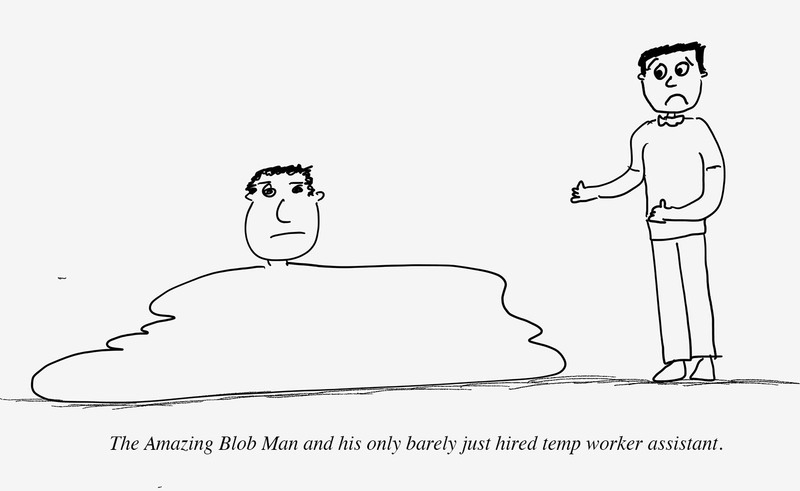 Funny, the assistant came highly recommended by his previous employer, the Somewhat Remarkable Blob Man. We are left to wonder… whatever happened to the less-than-amazing Blob Man?